Beep; beep - watch out! This is a construction zone here! The construction workers in this jigsaw puzzle are busy clearing a piece of land in preparation for a brand new building; and they are working fast. 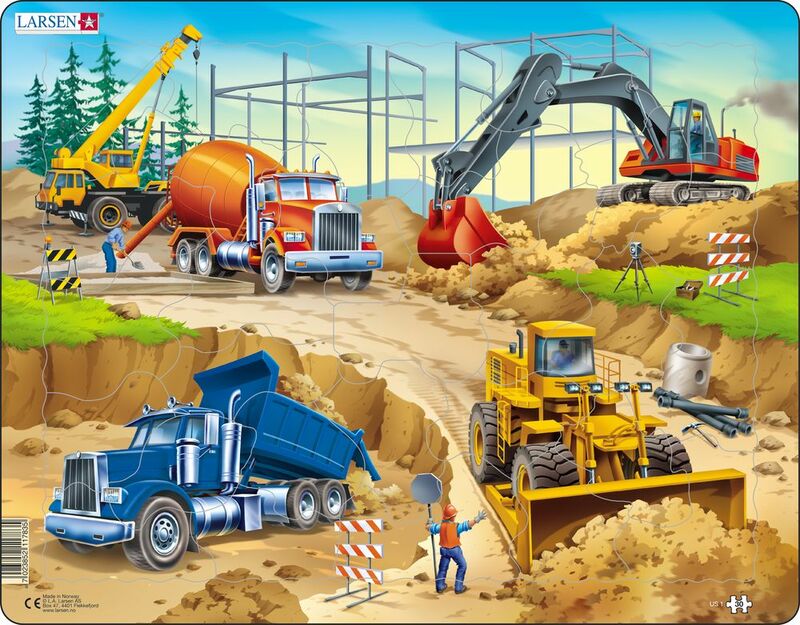 Your child will love sharing in the construction experience and will be surprised to discover hidden treasures of puzzle pieces shaped like a tractor; truck; and more!